Bali is the place to go in Indonesia to have fun and it has all sorts to offer. There are best beaches, nightlife, shops, bars, restaurants and many more. Among tourists, the most popular type of fun in Bali come in the form of outdoor activities and adventures. If you are planning a visit to Bali and would like to enjoy yourself out there of what the best nature can offer, then look no further than right here where you can get inspiration for the top 10 outdoor activities in Bali to enjoy. Golf is a relaxing outdoor activity to try out while visiting Bali. Though it does seem out of the norm, golfing is quite popular among tourists visiting Bali. This might be due to the fantastic view that golfing offers to tourists in Bali and in fact there are many different kinds of golf course available in Bali, including a 9-hole course and an 18-hole course. There’s a spot in the mountains near Bedugul that is quite popular among golfers in Bali. One of the most popular outdoor activities is whitewater rafting. Rafting in Bali is not just an exercise for tourists, it also provides a way to view what Bali has to offer, in terms of rice terraces, lush green scenery, rainforests, and rivers. 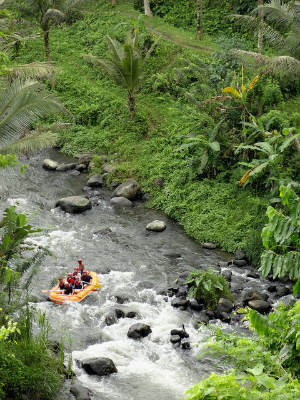 The perfect rivers for white-water rafting activities are the Ayung and TelagaWaja rivers. There are really nice rafting activity packages, which include lunch, showers, insurance and towels if you shop around. Mount Batur comes up when hiking activities in Bali are discussed. This is because Mount Batur is a great place for tourists that enjoy nature and hiking. Located in the east of Bali, the sunrise is one not to be missed when hiking Mount Batur in Kintamani because it is a view of nature in its purest form. Hiking this 1700 meters active volcano, which takes about two hours, is the ultimate outdoor activity for tourists that visit Bali. Bali’s most popular type of outdoor activities comes in the form of bungee jumping. It’s quite a popular activity among extreme sports lovers as bungee jumping gives tourists a rush of adrenaline like no other sports. Certainly not for the faint-hearted, bungee jumping is available in many hot spots in Bali, including a cascade and a high tower. Freediving is a great way to get up close and personal with some of the best diving destinations in the world. It is a great way for underwater enthusiastic to enjoy a wide variety of marine life in the ocean. It is quite an imagination how beautiful the underwater scene is in Bali since Bali is known to be in the centre of the coral triangle, which boasts of the biggest range of marine life in the world. One of the most popular freediving spot in Bali is the best-kept secret – Amed, where you can sign up with one of the numerous freediving courses here. 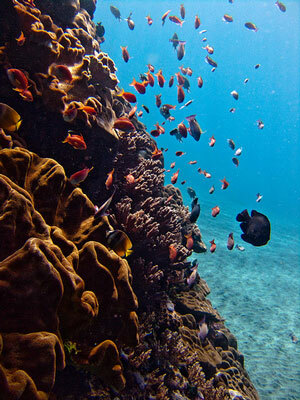 Diving is one of the favourite outdoor activities in Bali as there are many interesting dive spots in Bali. One of the most popular ones is the Barat National Park. In Barat National Park, the Pulau Menjangan is considered one of the best spot for diving in Bali. Another popular spot is located at Tulamben as you can find the wreck of the Liberty, a US Army Transport ship sunk by a Japanese submarine in 1942, here. 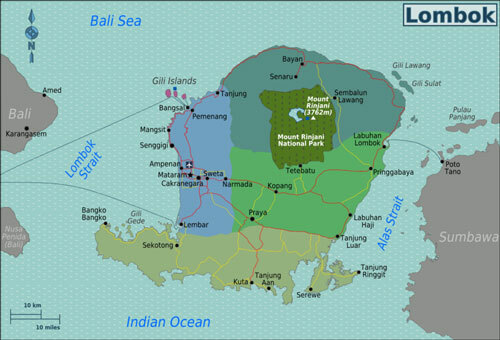 There are also nice diving spots in Sanur, which is near Denpasar and also in Nusa Penida or Nusa Lembongan islands. Guides are provided in diving packages in Bali, as well as many other interesting deals. There are crystal-clear waters, where diving can be done and also where there are large varieties of tropical fishes and sea turtles. Canyon is an extreme sport in Bali that is considered a popular outdoor activity among tourists. In many ways, canyoning plays a huge part in helping tourists get closer to the unspoilt nature of Bali. It is a great adventure, where tourists in groups or on their own can get close to exciting streams and many kinds of plants species while canyoning in the forms of walking, caving, scrambling, jumping, sliding and abseiling. A lot of canyoning packages are available with this extreme sport, including professional river guides, equipment, towels and much more. It is well known that Bali as some of the best surfing spots in the world. 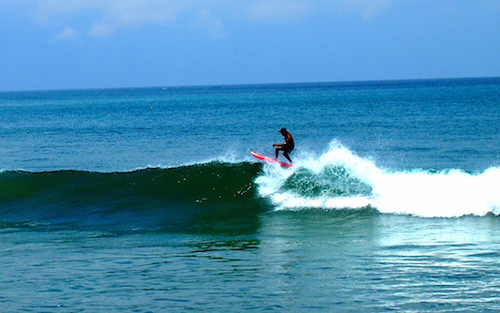 The west coast of Bali is really popular among tourists for its surfing activities. Everyone, from a beginner to an expert, is welcome to surf in Bali. There are courses for surfing available on hand to help tourists, who are beginners. There is also a range of surfing clothing in Bali, so tourists do not need to over pack their luggage with surfing gears. There’s also another kind of surfing that can be enjoyed in Bali, which is known as kitesurfing. Kitesurfing activities in Bali come equipped with the same kind of facilities that are offered for surfing activities. 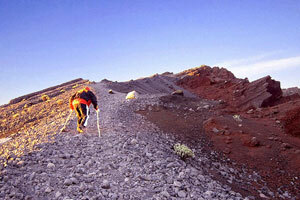 Trekking is a really popular outdoor activity among tourists visiting Bali. 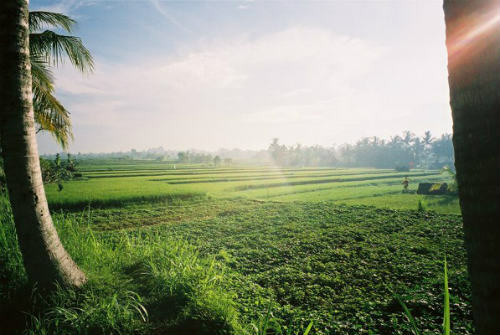 Best done in the early morning, trekking provides some of the best visual sights tourists can witness in Bali. Tropical Trekking is considered a very affordable outdoor activity and most of the packages include hiking sticks, hotel transfers, torches, breakfast, a guide and wet weather gears. Trekking can also be done in jungles, villages and rice paddies. 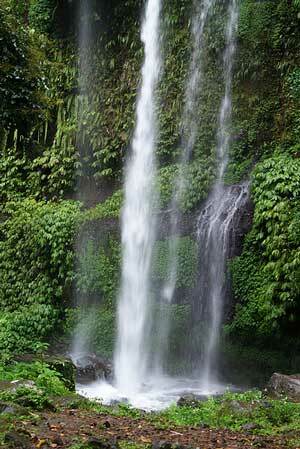 There are naturally many trekking tours to choose from in Bali. Snorkelling is a fun activity that many tourists in Bali enjoy. It’s a great way to get close to underwater nature surrounded by a huge range of exotic fishes and other sea creatures without the need for a lot of gears. It is one of the simplest yet fun underwater adventures in Bali, where you can find many snorkeling tours and packages that will take you out to sweets spots around Bali for the best snorkelling experience. In Bali, a range of outdoor activities is available for tourists to quench their adventure thirst. From water sports to activities on land, Bali has everything ready for tourists to enjoy. You just have to choose which activities that interest you and book your time before you land in Bali, so as not to miss out of the fun outdoor activities. Although boasting 17,000 islands, Indonesia may come to mind with lots of islands and beaches and sea, but you be surprised that it has just as many mountains. Being an archipelago that is situated at the confluence of the tectonic plates – Asian, Australian, Indian Ocean and the Pacific Ocean, it has as many as 129 volcanoes making it the country with 13 percent of the world’s volcanoes. 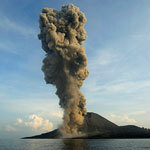 These volcanoes encircling the stretch of Indonesia has a name with a cool ring to it – Indonesia Ring of Fire. The volcanoes, some active (some very active) and some not, provides a naturally stunning scenery unlike any other. Some of the mountains are situated within a large volcanic lake or some with craters that spurt blue fire. 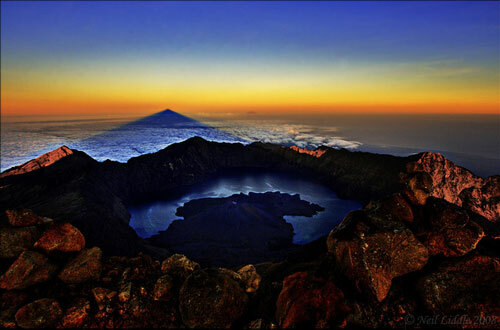 The highest peak in Indonesia is the Puncak Jaya in Papua while the largest volcanic lake is the Lake Toba in Sumatra. Mount Bromo, at 2329 m, is one of the most iconic mountain in Indonesia. This is due its majestic beauty, where it stands forebodingly within the Tengger caldera sea of sand while spewing off white sulphurous smoke. 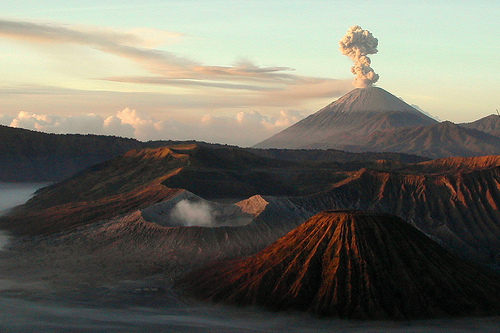 Mount Bromo is one of the most active volcanoes of the world and one of the frequent visited ones. Travelers from far and wide come here to view the sunrise over this mountain, where the ethereal landscape is not to be missed. Ijen Crater or locally known as Kawah Ijen is another popular mountain of Java after Mount Bromo. Many travelers continue to visit here after Mount Bromo and the experience is refreshingly new. Inside the crater you will see a magnificent turquoise sulphur lake that exudes flames, blue fire at night and smoky white in the day.You will also meet many sulphur collectors on your hike up and be shocked by the condition of their work consuming the harmful fumes all the time. Ijen volcano contains the world’s largest acidic volcanic lake that shines in beautiful turquoise color. By night the lake will throw off blue flames which many hikers brave the dark for. Mount Merbabu, the name translated as “Mountain of Ash” in Javanese, is the only volcano mountain in this list that is dormant. But even with that, it is still a volcano to be reckoned with. It lies adjacent to Mount Merapi towards the southeast at the height of 3142 m. It is a challenging hike up to the peak, there are two peaks – Syarif (3119 m) and Kenteng Songo (3142 m), forming a U-shaped valley, but with a guide one can conquer Mount Merapi. The area of the mountain had been declared as a national park in 2004. The nearby city to stay would be either Magelang or Salatiga *. 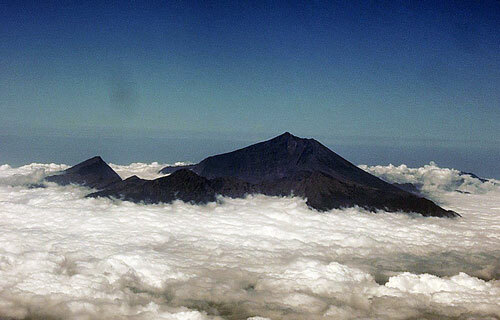 Mount Semeru is the tallest mountain in Java, located at the east. It is also known as Mahameru by the locals which mean The Great Mountain, deriving from the mystical Hindu-Buddhist mountain of Meru and Sumeru the gods. Climbing to the peak takes two hiking days and it is relatively easy for seasoned hikers. The only challenge is the last slope up to the summit. 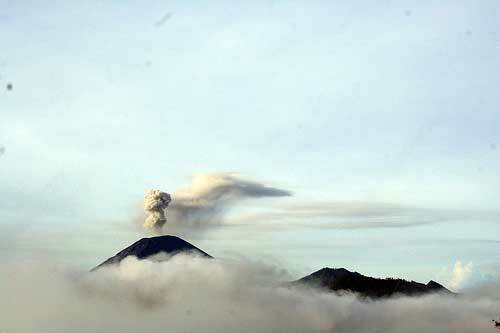 Mount Semeru is an active volcano with constant smokes from its crater. Krakatoa or also known as Krakatau, is a volcanic island situated in the Sunda Straits between Java and Sumatra of Indonesia. 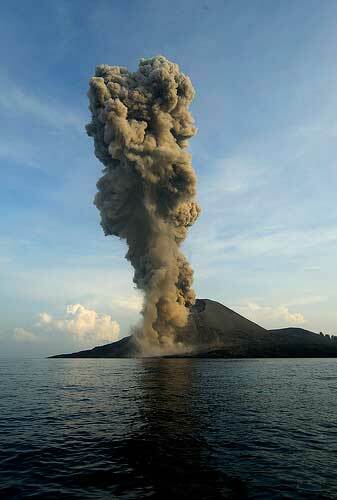 The eruption of Mount Krakatoa in 1883 had been noted as one of the most violent volcanic events ever recorded. The huge explosion blast over 4,000km all the way to Australia and India. This massive explosion cause giant tsunami and the dust from it stays in the stratosphere for several years after while killing more than 35,000 people. Mount Krakatoa is still very much an active volcano and scaling it takes precaution and would require camping a night at Rakata Island, where you can enjoy the view of Krakatoa eruption at night. Else you can stay at the nearby hotels * on the mainland side. 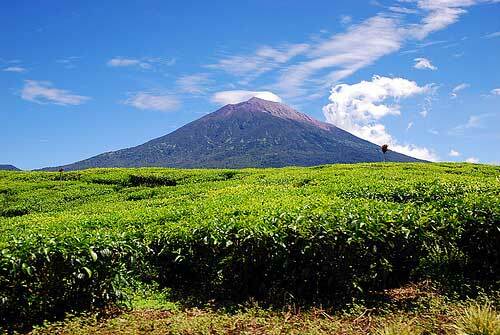 Mount Kerinci is the tallest volcano in Indonesia and the highest peak in Sumatra. It is located within the Kerinci Seblat National Park that is home to the endangered species – Sumatran Tiger and Sumatran Rhinoceros. It is still a very much active volcano with constant annual activities. The climb up this mountain would take 3 days 2 nights to reach the summit, or one day less if not. There are 15 lakes surrounding this mountain with one of lake being the highest lake in Southeast Asia at 1996 m which is called Gunung Tujuh Lake (Seven Mountains Lake – there are 7 peaks surrounding this lake). 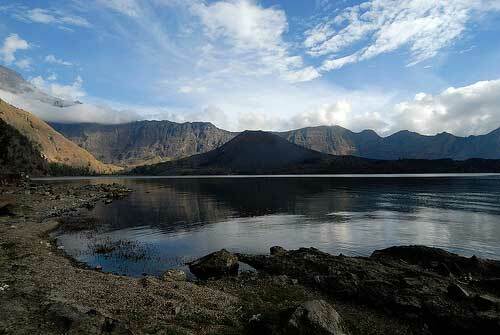 The biggest lake here is the Kerinci Lake at 4200 hectares. Most visitors would come in and stay first either at Padang or Jambi *, before transferring to Kerinci Sablat National Park. One of the more popular mountains in Bali, Mount Batur is an active volcano standing at 1700m, many travelers hike a do this short but can be quite tough 2 hours hike up the mountain to have a sunrise view over Bali and its surrounding islands. Getting here from Ubud might take some time but the climb and the view of the landscape and Lake Batur is all worth it in the end. It is also one of the popular activities to do when you are visiting Bali long enough to get bored of the beaches and sea and want to do some excursions. Mount Agung, standing tall at 3142 m at East is the highest mountain in Bali. It holds a spiritual significance to the Balinese as the Mother Temple of Besakih. Legend has it that it is created by the Hindu God Pashupati when he split the Mount Meru which is the spiritual axis of the universe. 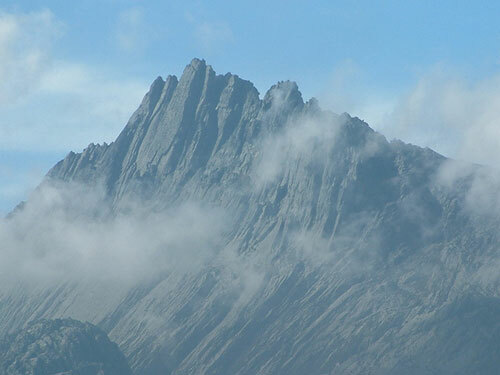 This mountain can be scaled in 6-7 hours with a demanding hike. The hike itself is an adventure and many travelers find it a rewarding after experiencing it. On the way, you can visit the Pasar Agung temple which is one of Bali’s nine directional temples. There is also the Besakih Temple which stands dramatically on the southern slopes of Mount Agung. Mount Rinjani in Lombok is the second highest volcano in Indonesia at 3726 m. It is also among one of the most active volcanoes here. 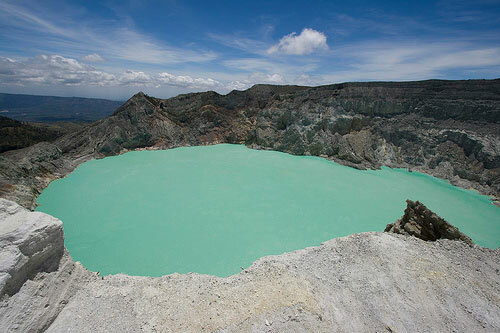 It ha a caldera of 50 km square with a crater lake in it called Segara Anak. Many pilgrims come yearly to this lake to make offerings to the gods and the lake. To hike this Indonesian volcano would take two days of demanding trekking but the view at the summit is all so worth it. Due to Lombok being one of the emerging travel places in Indonesia, you will find quite a number of travelers scaling this mountain with you but fret not as the beauty is for all to marvel at together. 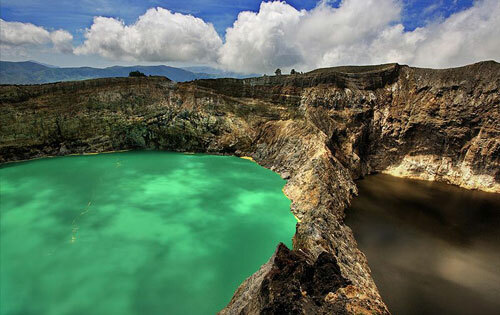 Mount Kelimutu is home to the famous tri-colored lakes which people travel through long tortuous roads just to get to. The lakes are in hues of blue, green and red due to its volcanic substances and it changes colors depending on season and time making it somewhat magical. These magical lakes are the reason enough to scale Mount Kelimutu for. The highest peak here is Mount Kelibara at 1713m. Mount Kelimutu is situated in Kelimutu National Park in Central Flores of Indonesia. Bonus mountain as technically this is the hardest to scale and probably not everyone can do this as a mountain to hike, it is still notable as it is the highest peak in Indonesia. This is one of the world’s seven ultimate summit and the only mountain in Indonesia which has a glacier top. Puncak Jaya or Cartensz Pyramid is the highest point in between Himalayas and Andes, crowning it the highest island peak in the world. It lies in Lorentz National Park in Papua, Indonesia. The climb up this mountain is highly technical and tough, therefore it is well advised to get a guide and prepare yourself thoroughly for it. Conquering this mountain is part of the peak-bagging list of Seven Summits of the world. 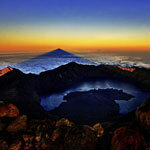 Mount Rinjani in Lombok is the second highest volcano in Indonesia right after Mount Kerinci in Sumatra and one of the most popular trekking spots in Indonesia. This streneous hike may be one of the greatest challenge in life but if you succeed, you will be rewarded with a breathtaking sunrise and a view over the whole island including the Gilis and even Bali. Standing at 3,726 m in the north center, Mount Rinjani takes a good chunk of whole Lombok and its massive caldera of 50 km square holds a crater lake called Segara Anak (Child of Sea), which has a natural hot spring. The Gunung Baru, a new volcano forming in the crater lake, is one of the most active volcanos in Indonesia, similarly to Mount Bromo in Java and adds to the scenery as an incredible landmark. To be awe in nature’s best combination of beauty and danger, an active volcano that can be so foreboding and desolate yet so beautiful. The demanding trek requires three days to conquer the mountain and will make it all worthwhile when greeted by the breathtaking view including sunrise at the summit. For people with less time, two days trek are available but you will miss some of the experience as you won’t go down into the crater, take a dip in the crater lake and relax in the soothening hotsprings. Mount Rinjani, no description needed. Segara Anak Lake, the vast crater lake with a new cone forming in it, called Gunung Baru. Mulang Pakelem – the annual Hindu ceremony at the crater lake, dated back to 18th century when the Balinese invaded Lombok. You will get to see hundreds of white-clad Hindu pilgrims sitting and praying at the lake. During rice-planting season, local people have ceremonies on Mt Rinjani and Segara Anak lake where they release small artificial fish made of very thin gold into the lake. Explore local villages at Senaru and nice waterfalls around the area or at Sembalun Lawang where you can find weaving villages. Usually the trek starts either at Senaru or Sembalun Lawang. In both villages are plenty of travel agencies offering 2-3 days treks including – next to their guidance – water, food and accommodation in tents for a reasonable price. You can book online if you are on a tight schedule or just show up and find a party leaving the next day or the day after. It is not recommended to try the trek on your own as even though the route is quite easy, it is really physically demanding. Also make sure to bring a warm jacket, hat and gloves. Trekking agencies usually can provide sleeping bags and mats, sometimes even extra clothing if you are in need. 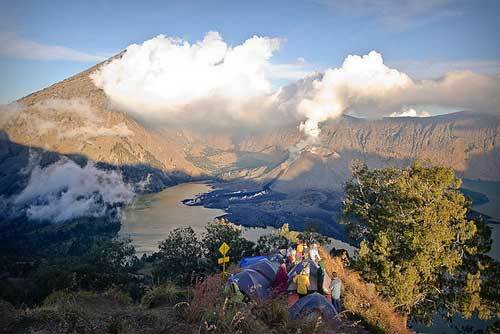 On the first day, you hike up from Senaru to the crater rim and take your camp. On the second day you go down into the caldera, taking a relaxing bath in the hot springs, even swim in the crater lake if you like. You hike up the crater rim at the opposite site and take your camp. On the third day, you start hiking at 2-3 am to the summit. If you make it, you reach the top towards sunrise and get rewarded with a stunning view. After that you trek down to the camp and finally to Sembalun. You start at Sembalun and hike up to the crater rim to take your camp. On the second day you start hiking at 2-3 am to the summit. Same as the other way, if you make it, you reach the top towards sunrise and get rewarded with a stunning view. After returning to the camp you descend into the caldera and take a soothening bath in the hot springs (this is really awesome after climbing the summit at the same day). You hike up at the opposite side to the rim and take your camp. On the third day you descend to Senaru. If you have less time and only want to spend two days and one night you can start at Sembalun, hike to the summit at the second day and go back to Sembalun without descending into the crater. You start at the crater rim around 2-3am in order to catch the sunrise at the peak. The path is difficult as its steep and and the ground is mostly soft sand that means for every two steps forward you might drop one step back. Furthermore, the way is fully exposed that means there can be strong winds and it can be really freezing. This said, this trek is really not an easy one and you should bring a decent physical fitness. If you do manage to make it to the top (quite many won’t due to exhaustion, so be prepared! ), the view is magnificent and well worth it looking at the crater and all the way to the island of Bali and the Gilis while surrounded by giant clouds. The photography here is also out of the world! Also please keep the mountain clean and do your bit to clean up after yourself. 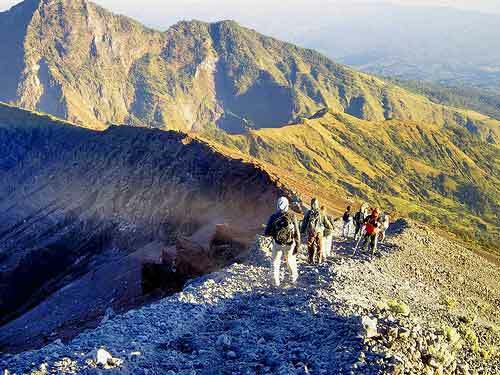 It is also recommended to take a guide or join a hiking trip up Mount Rinjani for safety. If possible, choose an agency that takes responsibility in keeping the mountain clean and carry the groups waste back down. You cannot stay within the park itself but can always find various guesthouses and basic hotels at Senaru or Sembalun Lawang. The popular ones are Green Haven Homestays, Matra Bungalows and Rinjani Lodge *. If you want to go upmarket a little, at northwest Tanjung can be of choice. 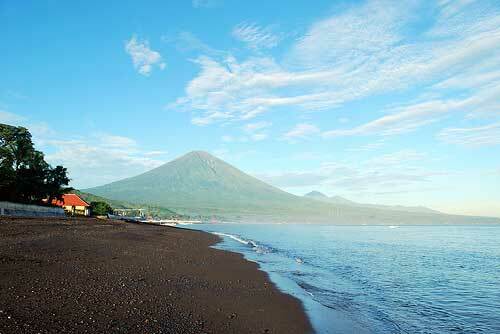 Many other travelers normally stay at Senggigi * instead and travel to Mount Rinjani by road for trekking. Sail to nearby Gili Islands for an escapade, and there are a few more mountains for you to climb if you haven’t had enough.